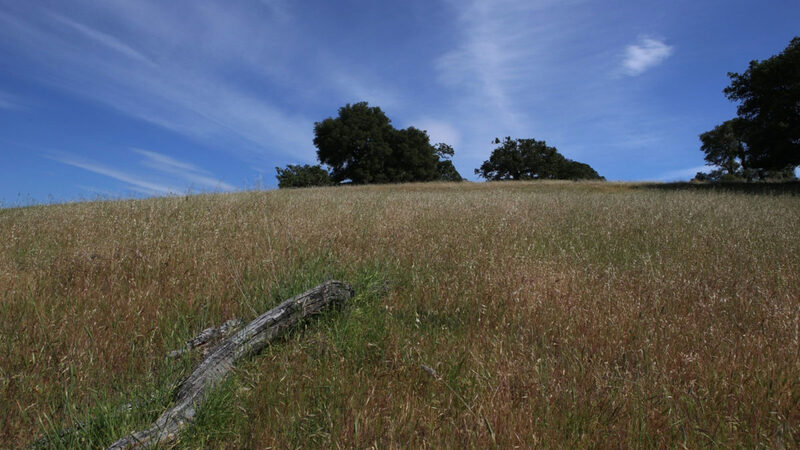 Since its formation, the District has received proposals for mitigation-related activities or projects on District-held conservation easements and District-owned properties. The District’s conservation easements do not always explicitly permit or prohibit mitigation-related uses, and mitigation-related project proposals for District-owned land are not always clearly consistent with the District’s enabling legislation, guidance documents, long-term fiscal stability, or previous commitments. Thus, there is a need for Board guidance on this issue. 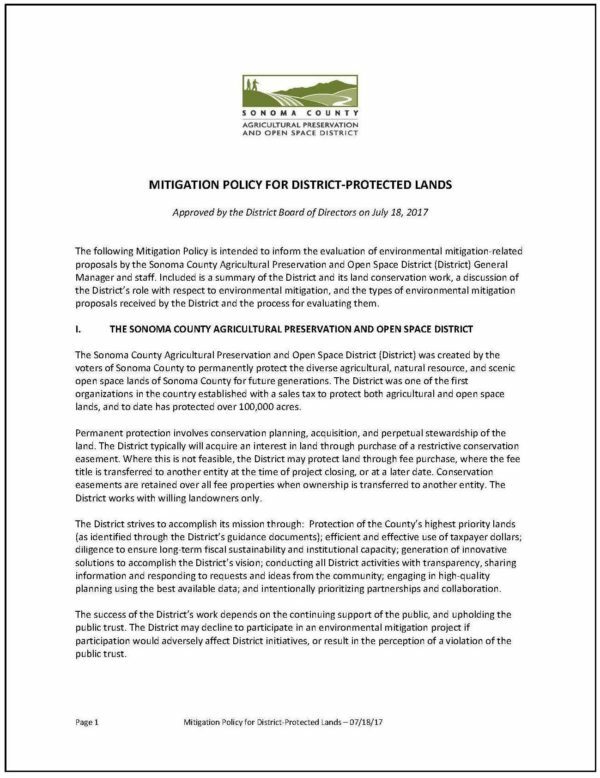 The Mitigation Policy was developed for use by District staff and the General Manager in the evaluation of environmental mitigation-related proposals for District-protected lands, including conservation easements and District-owned properties. The Mitigation Policy was developed after several years of discussions with over 50 individuals and organizations representing various public agencies, non-governmental organizations, citizen groups, private business, and other relevant sectors of the community. The District’s Board of Directors approved the draft Mitigation Policy at their July 18, 2017 meeting.